Published March 30, 2013 at 304 × 407 in Emily ship. 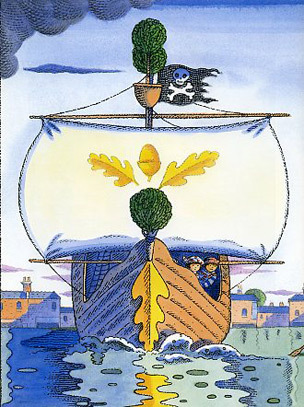 Illustration from Emily & the Golden Acorn by Ian Beck (Doubleday, 1992). Copyright © 1992 by Ian Beck. Reproduced by permission.